As has been previously announced, I have been asked to fill the role of interim chair for the Department of Kinesiology. Dr. Matthew Masucci has been asked to serve as the interim Associate Dean for the College of Health and Human Sciences. His outstanding leadership of our department has been recognized, and this is a wonderful opportunity for him to lead our College. We have benefited tremendously from his leadership and will miss him, however, I think we also understand his desire to serve the college at this time. These shifts in responsibilities have resulted in Dr. Jessica Chin filling in as interim undergraduate coordinator. She will continue to serve as the Advising Manager. Dr. Chin has a great deal of knowledge and experience in our undergraduate program and I know that she will bring her strengths to this position. As a result she will step away from her position as associate chair. To limit further disruptions we will not fill the associate chair position this semester. While we do not have someone formally filling in as associate chair, several individuals have stepped forward to offer their help and support to cover these duties. I greatly appreciate the students, faculty, and staff who have come by to say that they will help in any capacity that they can. This is who we are as the Department of Kinesiology; supporting each other to create an environment where everyone can thrive. I am greatly appreciative of all of our students, faculty and staff. I am committed to working hard and helping our department to continue to flourish. Ultimately we are here to educate and prepare our students, and I am dedicated to help us all do that the best that we can. A message from departing chair Dr. Matthew Masucci. I have been appointed as the Interim Associate Dean of the College of Health and Human Sciences (CHHS). While I am excited about the opportunity, I will be sad to be moving on from the role of department chair that I have held since 2014 and from the department that has been my home since 2002. I am pleased to announce that you will be in capable hands as Dr. Tamar Semerjian has been appointed by the President as the Interim Department Chair of Kinesiology effective immediately. I have every confidence in her ability to help guide the department through this time of change and I’d like personally thank Tamar for her willingness to serve. Related to this change, Dr. Jessica Chin will continue in her role as Associate Chair and will assume the responsibilities of Undergraduate Coordinator for the Spring semester. Her knowledge and abilities will be a great asset to the department in this transition and I want to thank her for her willingness to take on this role. It has been a great pleasure to work in such an amazing department and I am committed to fostering continued success in the department and college. 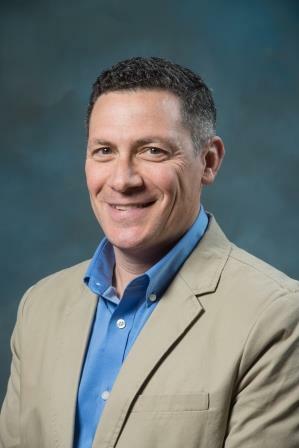 Please join us in congratulating Dr. Matthew Masucci on his re-appointment as Chair of the Department of Kinesiology! We are very proud of Dr. Masucci’s achievements and leadership. Under his guidance, the Department has seen positive growth across our programs and faculty. Matthew’s longtime interest in bicycle racing has led to international presentations and published research as well as a project exploring the meaning a local cycling community. Matthew is an active participant in several professional organizations including the North American Society for the Sociology of Sport (NASSS) and serves as the co-director of the Department of Kinesiology Qualitative Research Laboratory.